I honestly didn't think I'd be up for this trend when it came back around - when I was younger I vehemently resisted the skinnies trend for as long as possible, preferring to cling on to my bootcuts and flares. Once I was converted however, I never looked back and it seems I'm not alone, as I've recently discovered the skinny jeans trend has completely taken over and it's practically impossible to buy anything else. 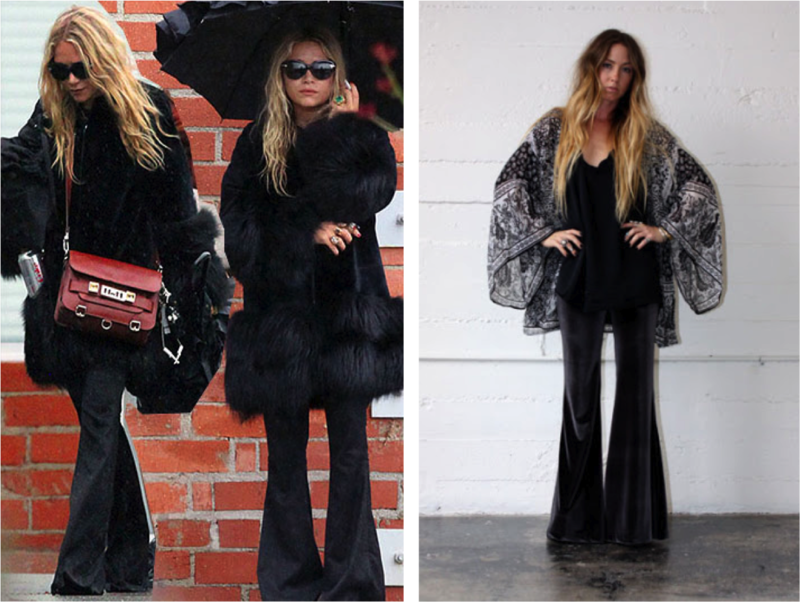 This season, the bell-bottom flare has been brought back with a bang and so many girls have been rocking them and looking HOT in the process... Now I desperately want to revert back to 10 year old me! 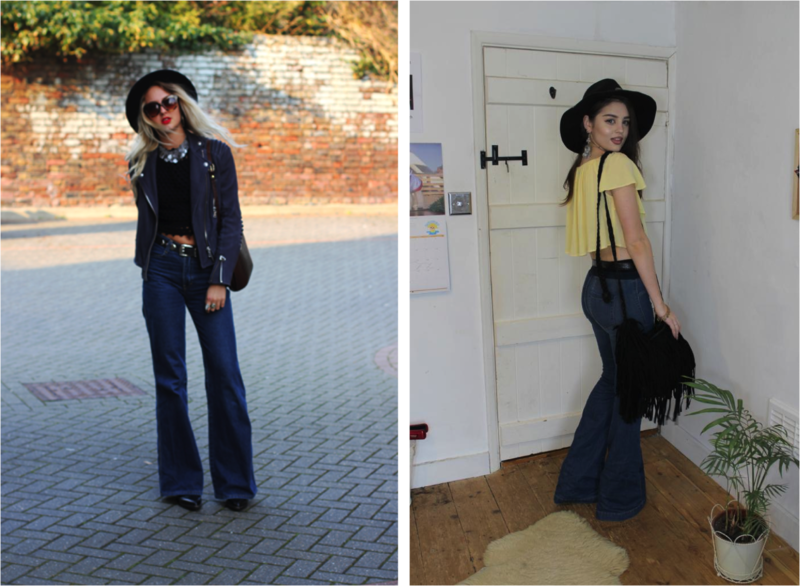 I've been looking for the perfect pair for a while but haven't had much luck, hopefully as the highstreet shops pick up on the trend a bit more they'll start stocking up - the flares revival 2014 has officially begun! Aw thanks for the feature chick! When flares are worn well, they look incredible!! I don't know how they'd look on me but I definitely think you should go for it when you find a pair! I'm obsessed with this trend, I just bought some crazy printed bells and I'm in love with them!